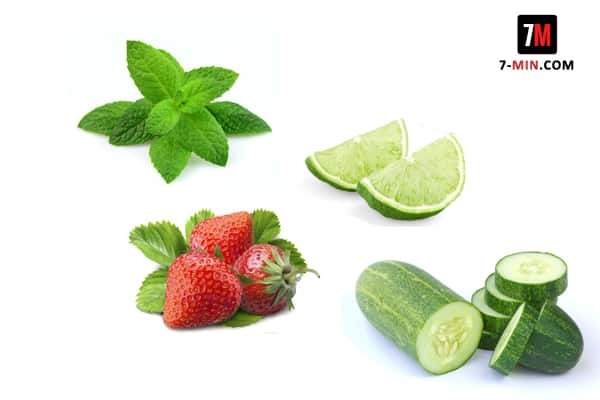 Jazz up your recommended 8-10 glasses a day with this amazing Strawberry, Lime, Cucumber and Mint Infused Water water! This drink includes ingredients such as Strawberries which add a little sweetness, while the rest of the ingredients add flavor to the water and making it taste bright and refreshing! Moreover, this drink can boost your immune system and has anti-inflammatory properties. So, if you want a refreshing and healthy drink, check out the recipe! Layer the ingredients in a large pitcher. You could also add ice when serving. The longer the infused water sits, the stronger the flavor would be. It may be mild at first, but it could be quite strong, most especially when chilled overnight. If you want more flavor, you can mash the ingredients using a wooden spoon.